To perform at a higher level, you need to work with highly skilled experts who understand your business inside and out, and can help you achieve your objectives. When engaging an HP server authorized reseller, you can be assured that you will receive high quality software solutions, service and support – what you need, where and when you need it. BCNI is such a HP server authorized reseller and will help empower your success by helping you make the best investment possible in server capabilities for your company. BCNI, as an HP server authorized reseller, is committed to making an extensive investment in skills and a renewed commitment to providing the solutions you demand. Customers are increasingly seeking solutions, not just products, to address their IT requirements. As a result, they continually find themselves having to invest in applications and services from separate skilled providers. BCNI by becoming an authorized reseller of Hewlett Packard products has the ability to offer a total solution and HP warranty to address a number of asset management challenges facing businesses today. As an HP authorized reseller, we are part of a network of dealers and resellers who are authorized to provide support on Hewlett-Packard products both in and out of HP warranty. This support may include facilitation of HP repair and/or in-house repair. We provide in-house and onsite repair by functioning as an authorized reseller of Hewlett Packard products and we offer either a HP warranty service, or out-of-warranty chargeable services. 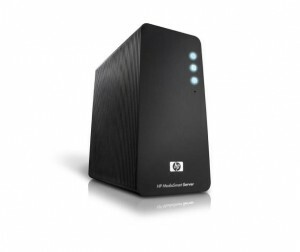 BCNI operates as an HP server authorized reseller in Oakville, Burlington and Mississauga. Our authorized sales staff have in-depth understanding of the latest innovative Hewlett Packard product range from the HP ProLiant, HP Integrity, HP 9000 Servers to component parts, memory, cards, storage and tape back-up. Allow our certified engineers to design and deliver your new hewlett packard based network. As authorized reseller BCNI will help you with the entire process including quoting, project design, delivery, installation and maintenance, plus we offer the HP warranty. Our experts are with you every step of the way. The BCNI team will coordinate desktop, server and printer configurations, provide value added services you expect from a IT solutions company and allow you to buy Hewlett Packard products directly from HP at competitive prices. As an authorized reseller we deliver HP products, providing range of systems that are engineered to address the requirements of different types of workloads, allowing clients to take a workload optimized approach in how they meet the needs of the business and give HP warranty to all the products. Our status as an authorized reseller allows us to customize hardware to match your unique business applications at a competitive cost. This includes configuration of HP’s excellent line of enterprise servers and storage products to support your network infrastructure. This opportunity has helped us develop and discover new opportunities for our business and make more-informed licensing recommendations for our customers. This has helped us expand our horizons in terms of business partners and customers.